Today started with an amazing thunderstorm. But I didn’t take pictures. 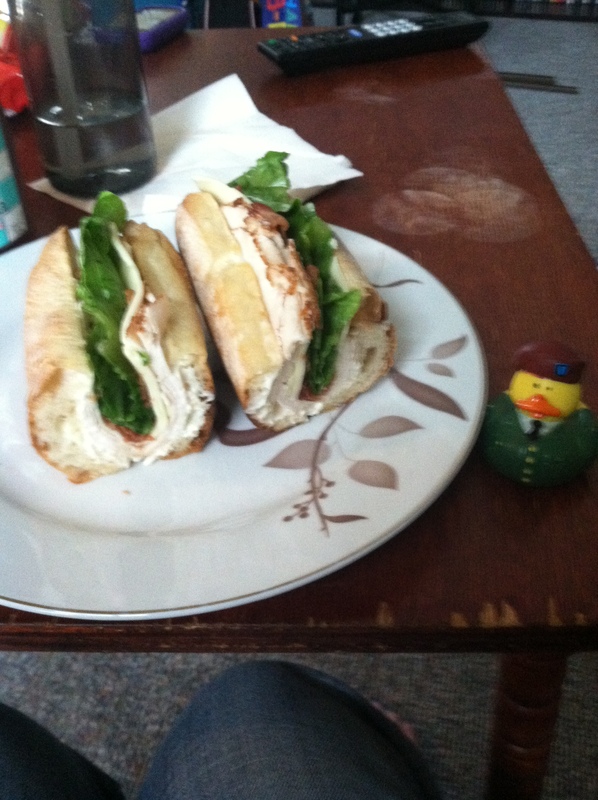 Then Army Duck and I headed off to Zumba with a friend. 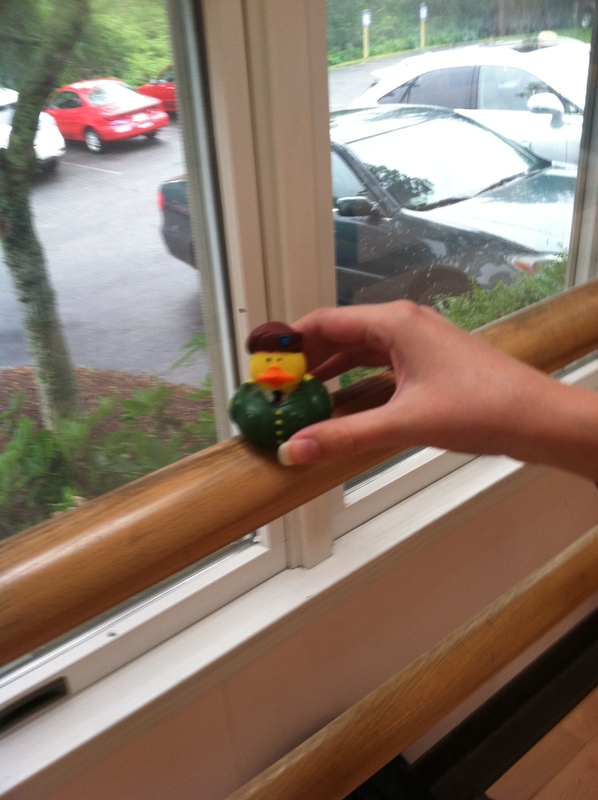 He decided he needed to warm up on the ballet bars before class started. 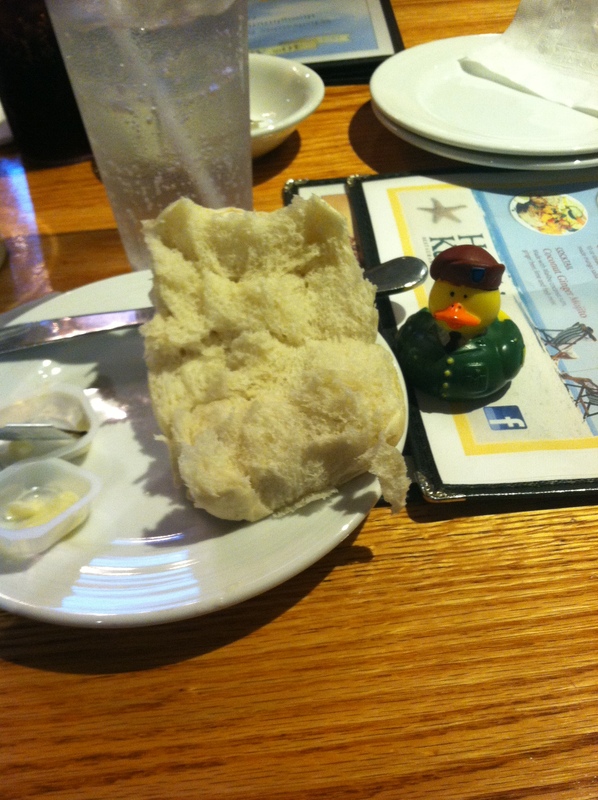 We shared a delicious lunch after. 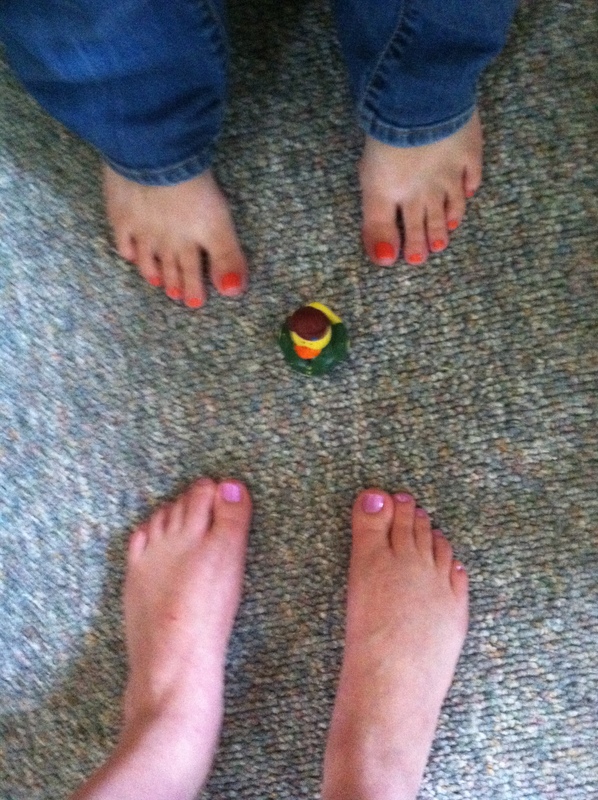 Then the ladies went off for manicures and pedicures, while the guys (and Army Duck) stayed home and played video games! I can’t imagine why he didn’t want to go? Finally, we ended the day with a dinner out with good friends!